What Is a Good Return on Investment for Your Portfolio? Whether you’ve considered getting into investing or you’re a seasoned pro when it comes to managing your own investments – perhaps with the help of robo-advisors to optimize your investment portfolio – one question that remains for most investors is: what is a good return on investment? What type of ROI should you be striving for with your investment portfolio? It’s an important question, but many folks assume that, as long as they’re earning higher rates of return with their current selections than other options like savings accounts, then they’re seeing “good” returns. However, that probably isn’t the case. If you truly want to earn great returns on your investments, you shouldn’t settle for “it’s better than the alternatives.” Investing is an active strategy that requires updating, tweaks, and as much diversity as possible to ensure your bad investments don’t drag down your overall portfolio’s performance. Just because you’re earning a consistent 4-6% year after year does not mean these are “good” returns in the objective sense. When you look at the broad spectrum of investment opportunities, you might see anywhere between less than 1% returns on the most conservative, stagnant investments (e.g., bank savings accounts) to more than 20% returns on the riskiest, most aggressive investments (e.g., junk bonds with the lowest ratings, peer-to-peer loans with C-D ratings, etc.). Sure, you could potentially skyrocket your rates of return by dumping money into high-risk, high-yield investments like low-grade junk bonds, but if you’re more likely to see defaults than returns on these investments, then why bother? The trick here is finding reasonable investment options and diversifying as much as possible to cushion the blow whenever the market goes sour or a borrower defaults on their loan you invested in. A reasonable investment strategy also considers what you’re short and long-term goals are for your portfolio. Are you saving up for a mortgage down payment, saving for retirement, allocating investments that’ll pay dividends to supplement or replace your job income eventually, etc.? And, without diversification, your portfolio might swing too conservative or aggressive to see the “good” return you’re seeking. How do you know whether your current investment strategy aligns with reasonable goals for good returns? 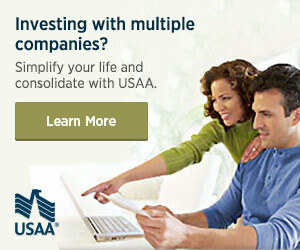 For starters, you should have multiple investment accounts to test which ones are performing the best. Perhaps you have a discount stockbroker, a company 401k retirement plan, peer-to-peer loans, and a general investment account managed by a robo-advisor. By diversifying not only your investments but also the platforms in which you invest, you’ll be able to optimize your investment strategy by allocating more funds to the more successful ones. Don’t always rely on previous trends to predict how much your investments will be made in the future. Most types of investments follow the ebbs and flows of the market and government economic policies related to bonds, and U.S. Treasury securities are prone to changing (for better or worse), which is why it’s important to not only view historical performances but future predictions for investments as well. If you value financial security more than making huge gains in riskier investments, then you probably invest quite a bit in bonds and mutual funds. However, by limiting yourself to conservative investments, you could be missing out on slightly riskier but significantly more rewarding investments that could boost your overall portfolio’s performance. Oftentimes, beginning investors make the mistake of investing only in what they feel comfortable with. This might include certificates of deposit, money market funds, U.S. Treasury-backed investments, and other options that are pretty much guaranteed to be consistent investments. However, you won’t see more than 1-4% returns on ultra-conservative investments, and these options sometimes fail to even keep up with inflation. By accounting for the current inflation rate, you might want to pursue more of a moderate investment strategy in order to see truly “good” returns in the 7-10% range. This involves putting more money into mutual funds, index funds and exchange-traded funds (ETFs) to boost your gains with minimal risk added to your portfolio. The final key to earning “good” returns on your investments is balancing the risks and rewards in your portfolio. As mentioned previously, prioritizing reasonability is essential for avoiding the pitfalls of overly conservative or overly aggressive investment approaches and diversification is the number one way to accomplish this. How else can you balance the risks and rewards in your investment portfolio? One way is ignoring the hype about investments that can give you 15% or more returns (again, these are simply too risky to waste your time and money with) or anything that claims to offer “guaranteed returns” should send you running away as fast as you can. A truly “good” return on investment is one that outpaces inflation (so more than 3-5%) but doesn’t leave you vulnerable to risky start-ups and low-rated borrowers who could potentially default and leave you penniless (for that particular investment, anyway). What constitutes a “good” return for your unique situation might not be good enough for another investor who pursues more aggressive strategies with junk bonds and low-rated borrowers on peer-to-peer investment platforms. Good returns can be subjective, but it’s important not to get greedy with high-risk investments or lose out on great opportunities to meet your financial goals sooner by relegating yourself to low-risk, conservative investments like bonds and CDs. If you’re seeking an objective answer to “what is a good return on investment” then the answer is anything that outpaces inflation without leaving your portfolio vulnerable to volatile markets. In many cases, this means you should strive for returns in the 8-10% range, on average. What about you? What is a good return on investment in your mind?